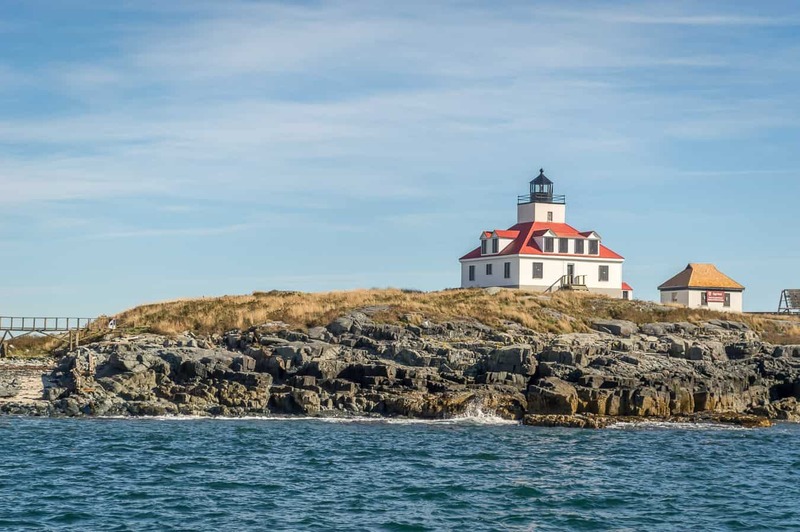 Do you dream of visiting the coast of Maine? Do you envision iconic lighthouses set on rocky shores, pots filled to the brim with bright red lobsters, pine trees towering overhead? That perfect Maine vision is what we found on beautiful Mt. Desert Island, home of Bar Harbor and Acadia National Park. This area is wonderful for travelers of all kinds, with an endless array of outdoor activities plus sightseeing, shopping, and dining for the less adventurous. 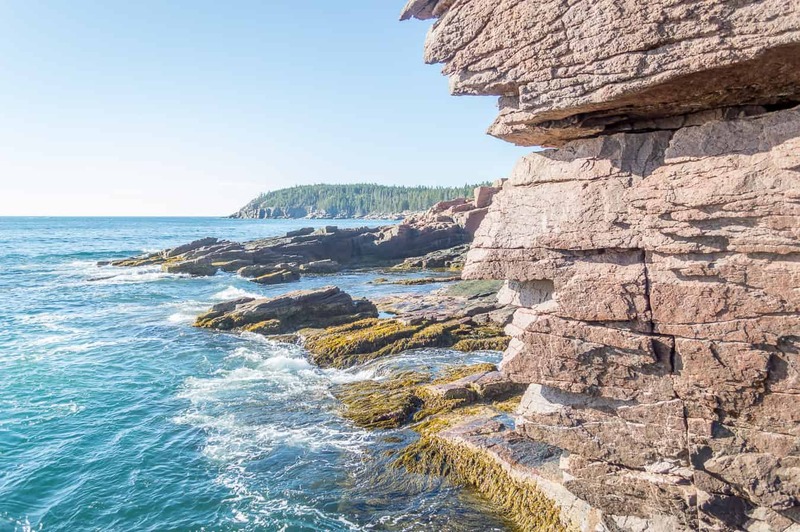 Ideally, you’ll have a week or more to explore Bar Harbor and the surrounding area, but you can certainly fit the best of the best into a few days. We had a fantastic time on our recent couples trip to this stunning area, and we’re going to share our itinerary with you. 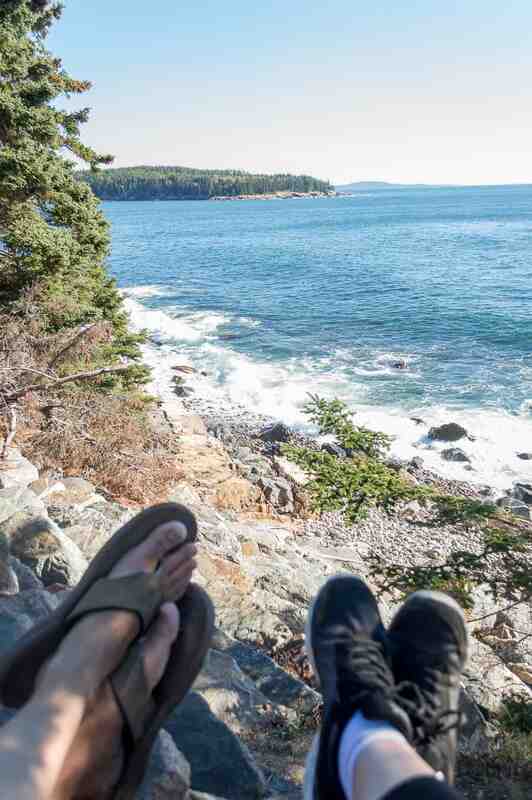 If you only have 3 days in Bar Harbor and Acadia National Park, use them well! Let’s plan! On day one, arrive on Mt. Desert Island. 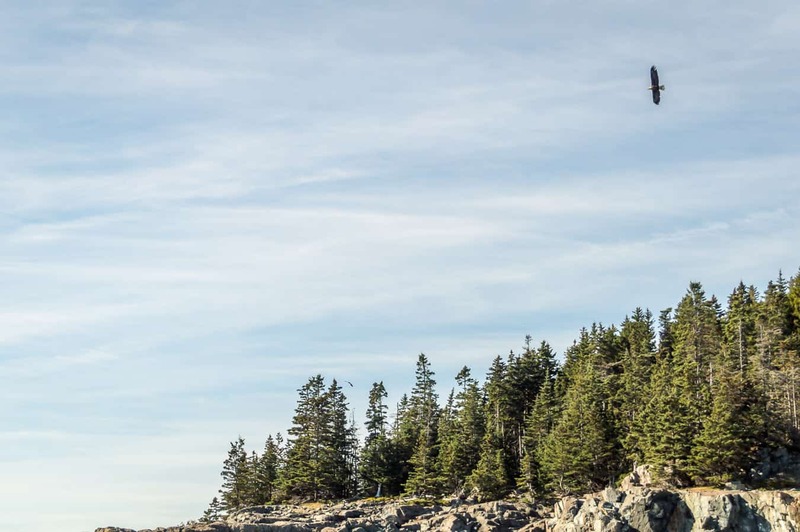 If you’re wondering how to get to Bar Harbor, you have a few options. 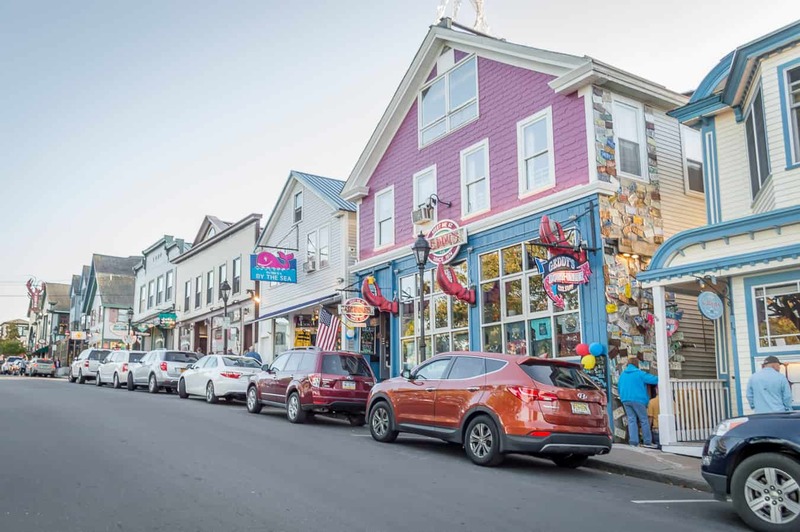 By Car: You don’t necessarily need a car once you’re on the island, as the main area of Bar Harbor is walkable and there is a free shuttle that circles through Acadia. But driving to Bar Harbor is an easy way to get there. Bar Harbor is quite far north in the state of Maine, but it’s a fairly straight shot north on 95 towards Bangor. At that point you’ll head east out to Mt. Desert Island. Driving from Boston to Bar Harbor takes approximately 5 hours. Portland, ME to Bar Harbor is a drive of 3.5 hours. By Air: There is a small regional airport (Hancock County-Bar Harbor Airport) with free bus service to Bar Harbor (available only during the summer). An alternate option is to fly into the larger airport in Bangor and rent a car or find a transfer. 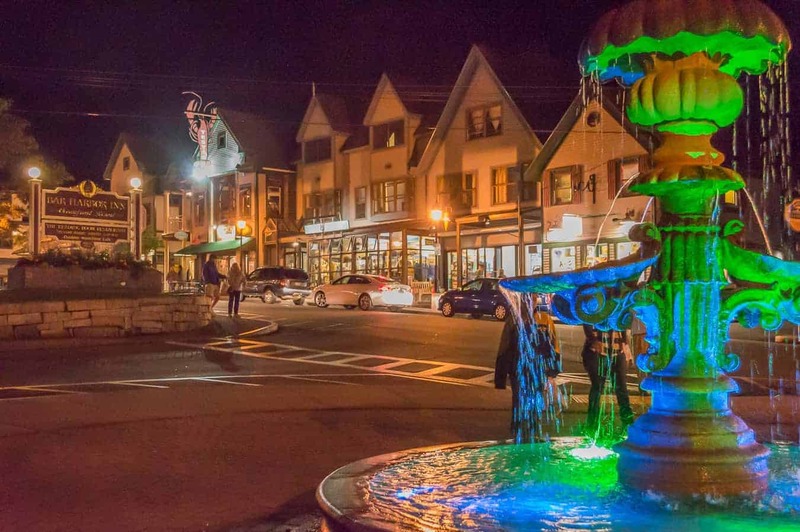 Right away, you’ll be charmed with how cute downtown Bar Harbor is. And today, we’re going to explore it! First, check into your accommodation. 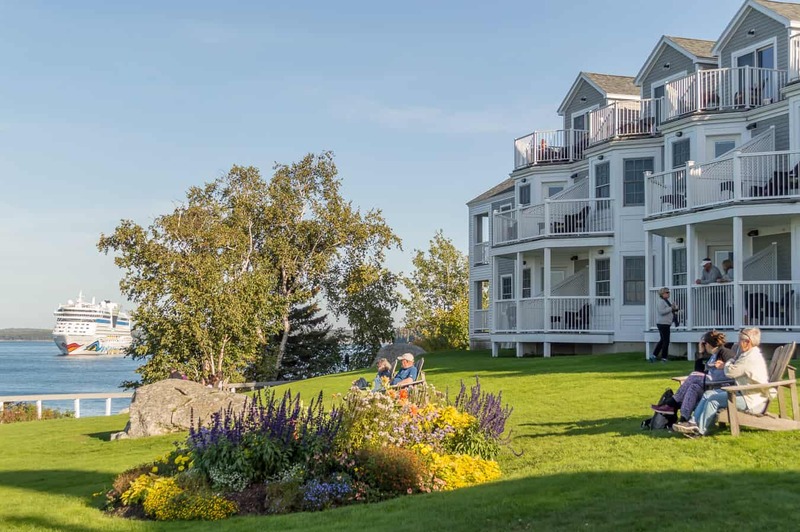 We suggest the Bar Harbor Inn, where we stayed, and which is in an absolutely perfect location. Now for the rest of your Day 1 activities. You’ll be following a laid back schedule today, focused on exploring downtown Bar Harbor. The downtown area is made up of a small network of streets and it’s easy to get around on foot. This evening you will spend browsing shops, grabbing a bite to eat, and, if you’re up for it, enjoying some of the casual nightlife. Good morning! 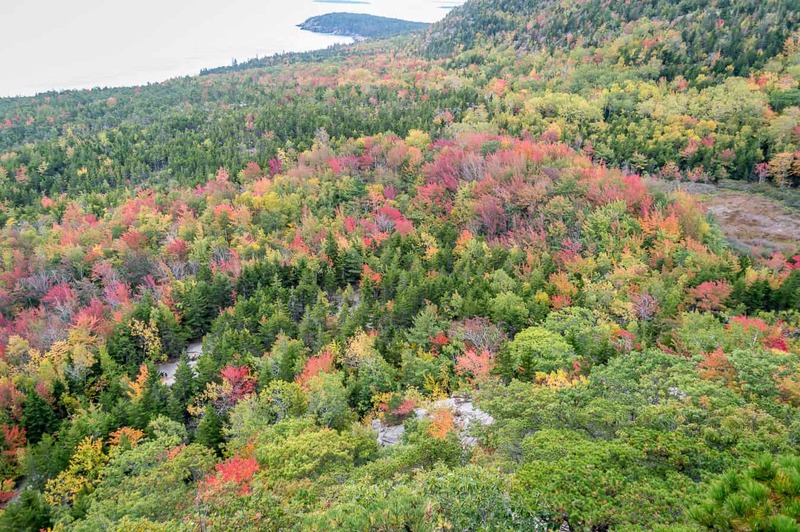 Day 2 of your Bar Harbor itinerary begins early with a drive through Acadia National Park. Grab your camera because the scenery is spectacular! 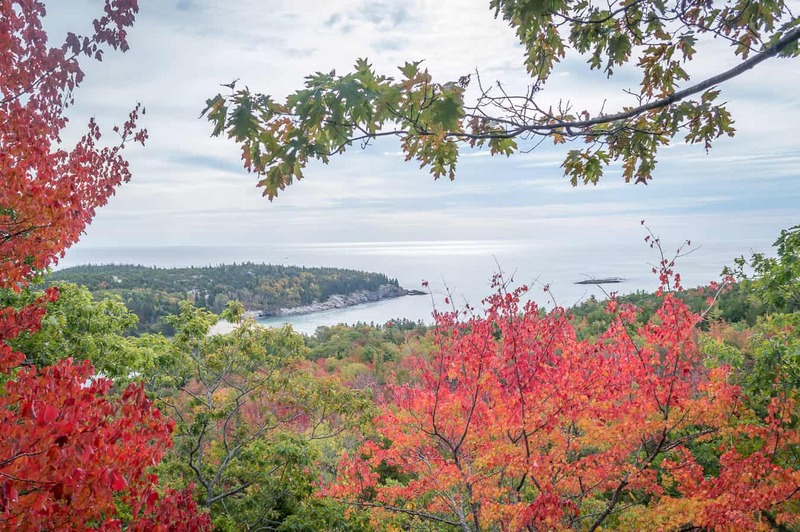 How far is Bar Harbor from Acadia National Park? One of the great things about this region is how there’s so much to do within easy driving distance. 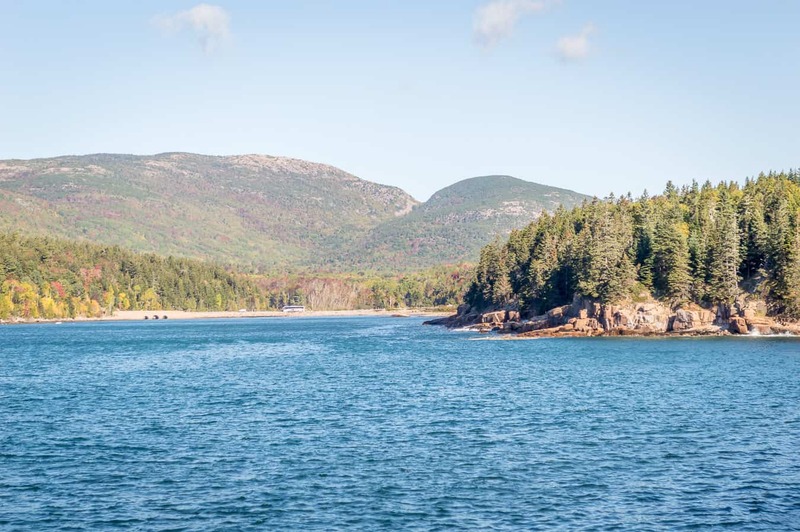 Acadia National Park to Bar Harbor (and vice versa) is just a few minutes’ journey. You’ll be at the entrance to the park very quickly. Psst: Before you enter the park, you will need to buy an entrance pass. 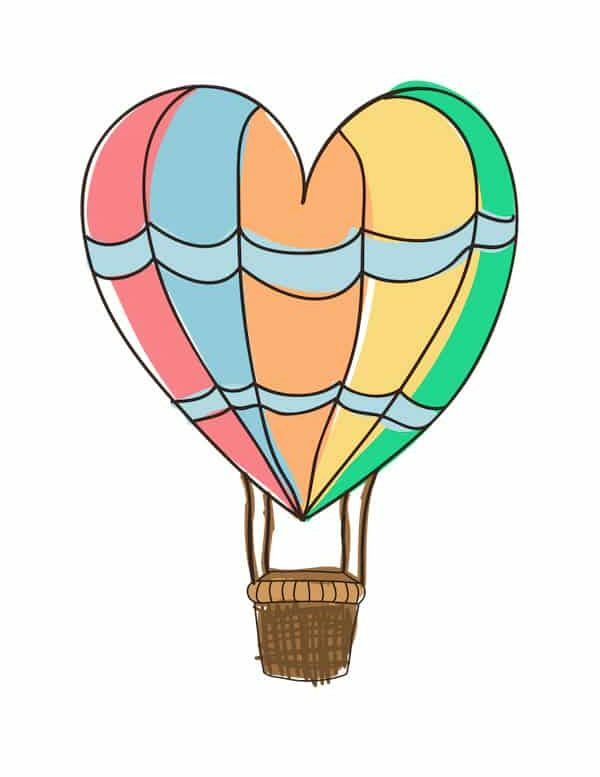 You can find out where to buy and specific prices here. A vehicle pass valid for 1-7 days (including occupants) is $25. Not a bad deal! If you’re traveling without a car, the Island Explorer shuttle passes through the park, or you can hop on a narrated bus tour with fellow travelers. Planning to visit several national parks this year? The National Parks & Federal Recreational Lands Annual Pass is an amazingly good deal, giving you access to more than 2,000 sites. Get it here. Your first main stop on the Park Loop Road is at Thunder Hole. This is a natural rock formation where high seas can cause a thundering boom and a huge splash. If you time it right, you can catch prime conditions for the thunder! 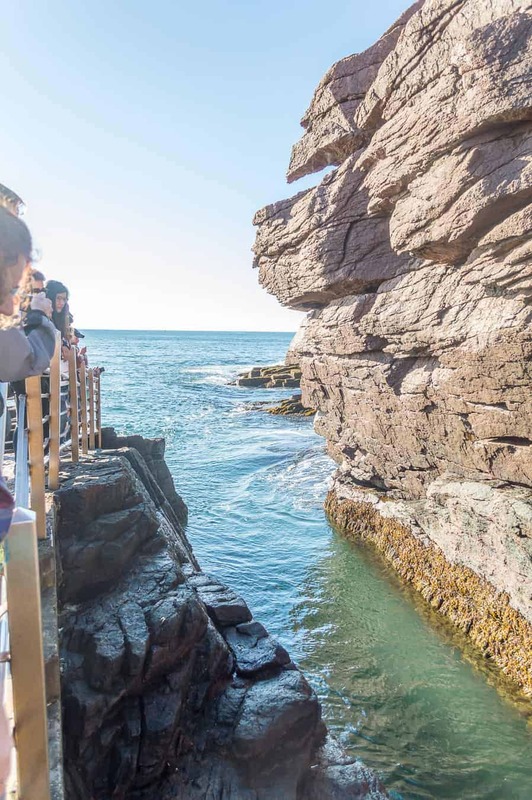 The best time to visit Thunder Hole is 2 hours before high tide. (Check tides here). This is when the waves are moving in and when booms and splashes are most likely. You may not catch the massive roar that Thunder Hole is known for, but you can still get an idea of this geological wonder. Continue along the road for more beautiful sights and great places to stop, including Sand Beach and Otter Point. It’s worth just stopping and relaxing and enjoying the view. 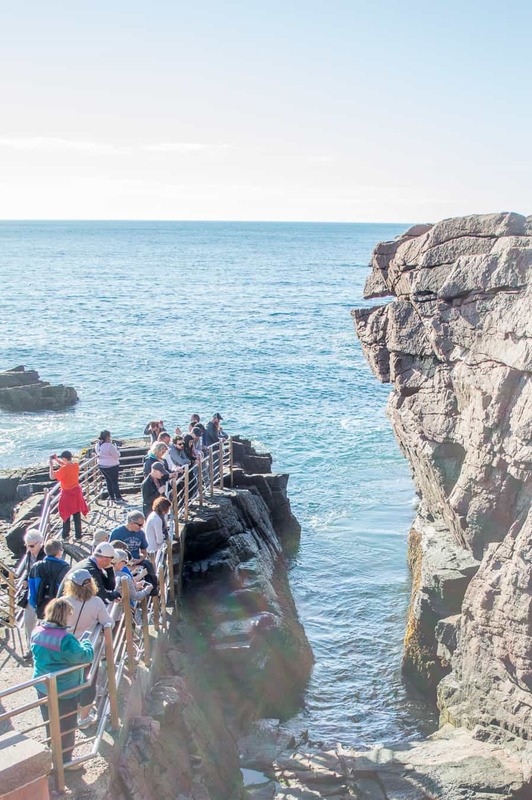 Acadia National Park is a popular place, so expect some crowds (especially in summer time). There are definitely less-crowded stops along the way. Even during a busy fall week, we were able to find a few spots all to ourselves. Hint: head down the paths and trails toward the water. Your next big stop is at Jordan Pond. This is a gorgeous body of water with two notable features to the rear. These hills are known as The Bubbles (and you can hike them). If time allows, go for a walk on the 3.4 mile Jordan Pond Loop Trail, an easy trail which takes you around the pond. 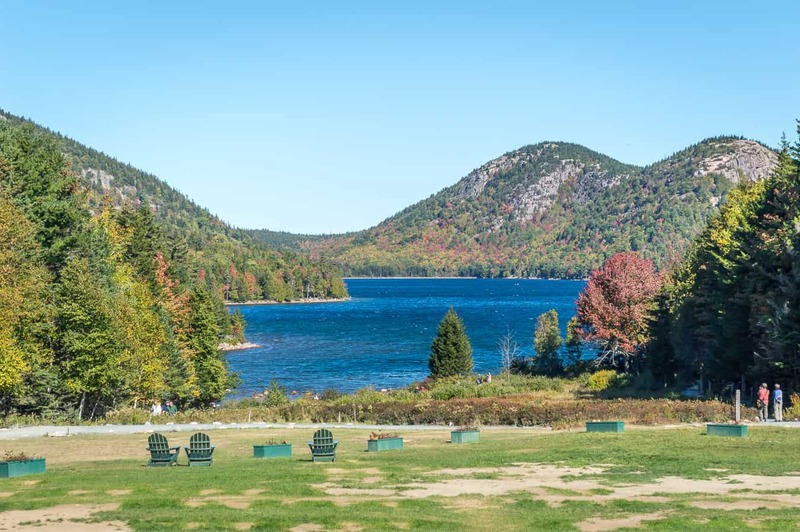 Whether you do the hike or simply stop and admire the pond, one of the top things to do in Acadia National Park is to eat at the Jordan Pond House. The restaurant offers a full menu, but what it’s famous for is POPOVERS. Popovers are a light, hollow roll made with an egg batter. They. Are. Delicious. If you’ve ever tasted Yorkshire Pudding, these are very similar. 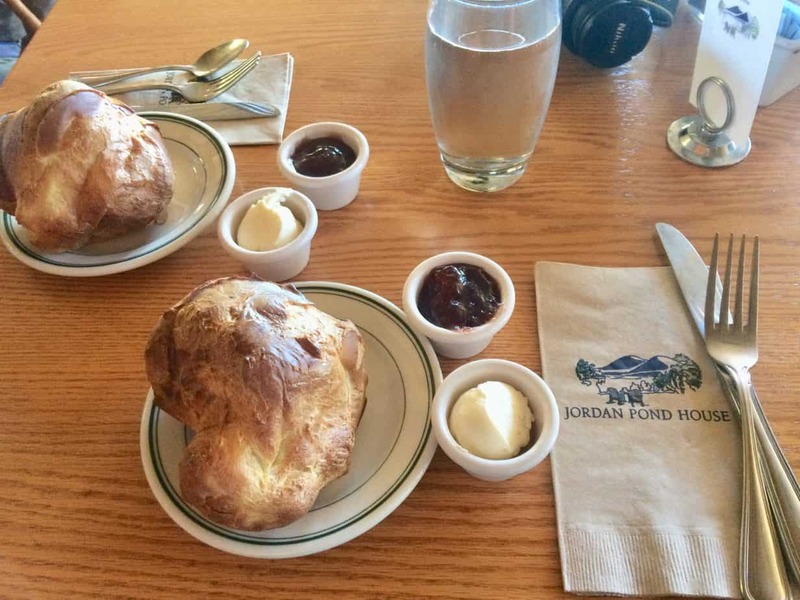 Jordan Pond House has been serving popovers and tea since the 1890s, so having one (or two or three or four! 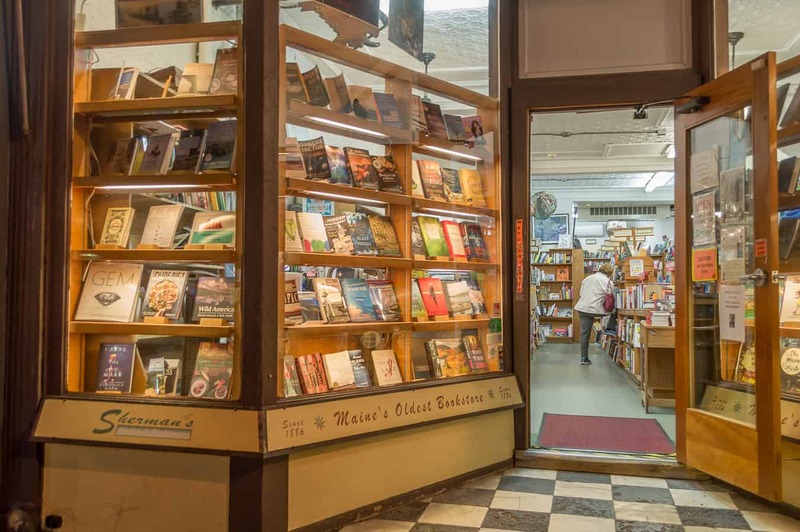 ), is an essential on your Bar Harbor bucket list. Many friends suggested we give them a try, and we were very glad we did. The popovers come in groups of two, and honestly, two is big enough to satisfy you. Spread them with butter and strawberry jam, and savor! Head back into Bar Harbor. You’re ready to spend some time on the water! You should take a cruise with Bar Harbor Whale Watch Co. Depending on the time of year, you’ll have some different options. You can see whales, puffins, seals, and seabirds, as well as take a lighthouse tour or a more general nature cruise. 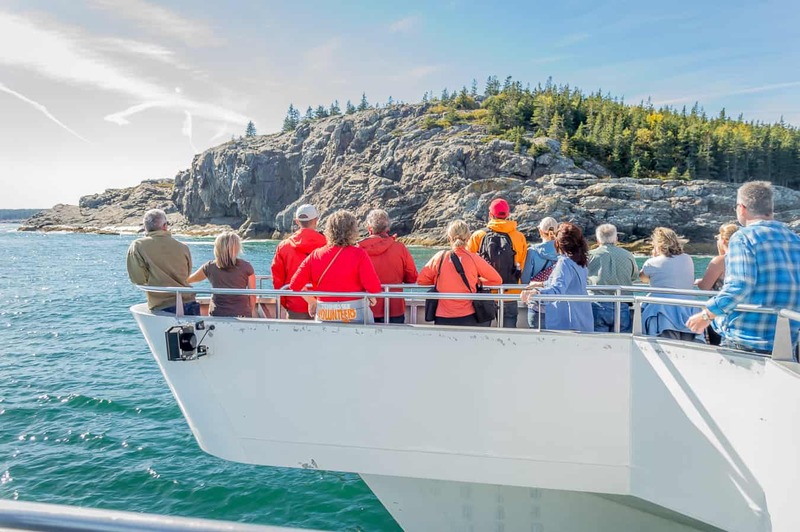 We took a scenic nature cruise during our visit to Bar Harbor in October, and it was a lot of fun. It was great to get out on the water and learn more about the coastline. Our guide was really well informed and we learned a lot about the history of the park and its residents. Of course, we also spotted some wildlife (our favorite part!) While you don’t get super close to the wildlife on this cruise, you can spot seals and eagles from a distance. If you’re there during whale watching season, we’d recommend going on a whale watch, as those are an exhilarating experience! Click here for more info on TripAdvisor. Following your cruise, it’s time for dinner and relaxation. If you’re up for it, head out for a sunset hike or drive to a beautiful spot along the Park Loop Road. Ready to get up early? If you are, you can join the throngs of people who head up to the top of Cadillac Mountain for sunrise. We’re told this is gorgeous and worth the early rise. (It didn’t work out for us to check out Cadillac on this last trip, but we’ll definitely do so in the future). You don’t even have to hike to the summit (though you certainly can). There is a road you can take to park at the top. If you do go, plan to arrive especially early as it can be busy, making parking a challenge. The rest of the day is dedicated to exploring Acadia National Park. People come here for the fabulous hikes. We’d love to return and do some camping and more hiking. Since we were short on time, however, we wanted to pick the best of the best when it came to hikes. A suggestion that we kept hearing was The Beehive. After some research, we decided to hike the Beehive Loop Trail. Honestly, this was one of the most enjoyable hikes we’ve ever done. It was not too long of a trip, taking only a couple hours to complete. What makes this trail so amazing is the route up. If you’ve a fear of heights, you may want to avoid the Beehive Trail. 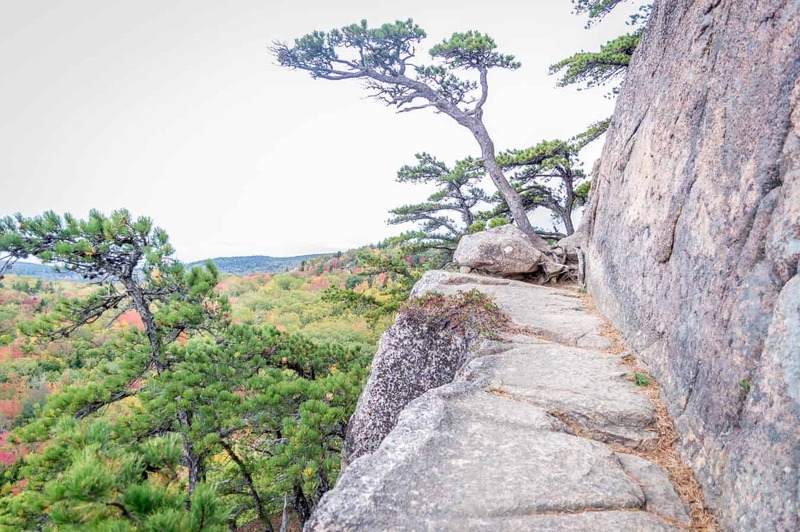 Much of the trail leads nearly straight up the cliff face, and you will have to use railings and handles embedded in the rocks to help you on the way. This is the fun part. It’s so awesome to feel like a climbing monkey as you scale the cliffside. 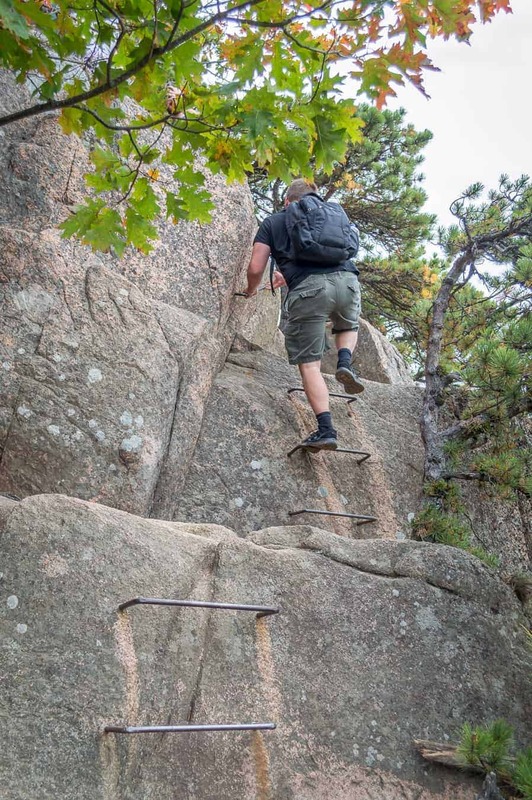 This trail will require your whole body, and I’d recommend some flexibility and comfort with supporting your own weight, but it is not as taxing as it might seem. I (Amy) was somewhat nervous before the hike, as I wasn’t sure if it would be too strenuous (being not a stranger to hiking but sliiiightly out of shape). I’m in fair shape and I did just fine! I felt the toughest part of the hike was the beginning, when you’re heading up rocky stairs. This is the most exhausting part of the path, especially for someone with short legs like me. But there is plenty of time throughout the climb to rest and regain your energy. And if you need an excuse to take a breather, the views are absolutely crazy!! Spend time at the summit soaking up the gorgeous scenery (especially incredible as the fall foliage bursts into view). You can continue on to another summit called The Bowl, or head back down the Beehive Loop. Don’t worry–you don’t have to go back the way you came! The route down is much more traditional! Still have some energy? That’s the spirit! If you’re up for it, go out and tackle another hike! 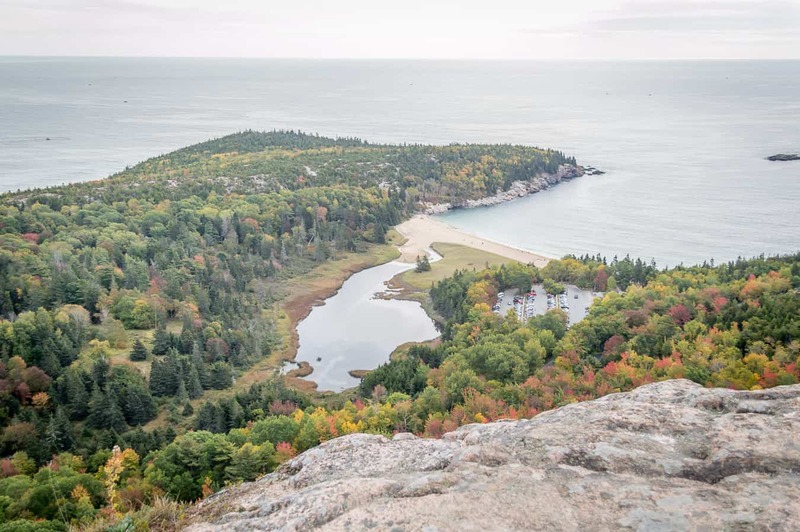 Here’s a great list from Travel & Leisure featuring some of the best trails in Acadia National Park. You can’t visit Maine without stopping by a lighthouse. The Bass Harbor Head Light, located on the southwest side of Mt. Desert Island, is definitely worth a visit. Surrounded by tall pines, it teeters on the edge of a steep cliff overlooking the sea. It doesn’t get more iconic Maine than this. 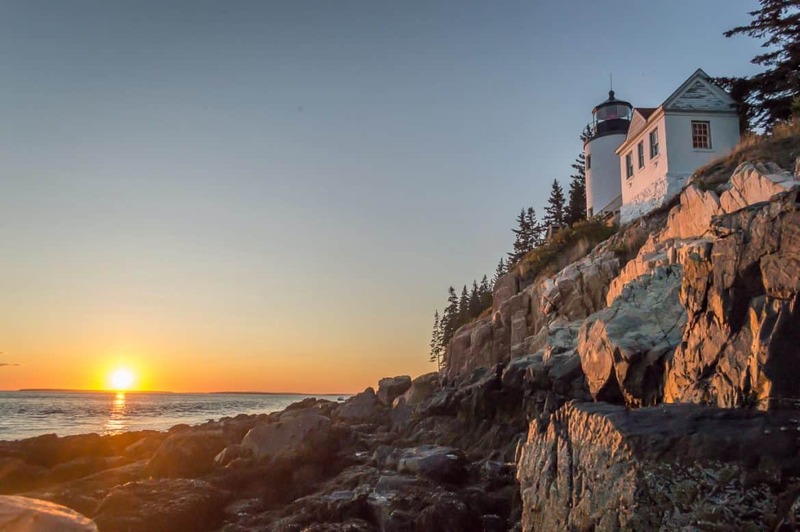 After your day of hiking, drive over to the “quiet side” of the island to visit Bass Harbor Head Light. This spot is super lovely at sunset, but had I to do it over, I’d go earlier in the day, especially if you want to take photographs. It’s very, very crowded at sunset. It’s tough to park, and unless you arrive super early, you won’t have any space to set up a tripod and grab that sunset photo you’re after. In fact, there are very few places to stand and the rocks are slippery and uneven. And some of the photographers who are there REALLY do not like people getting in their shots!!! 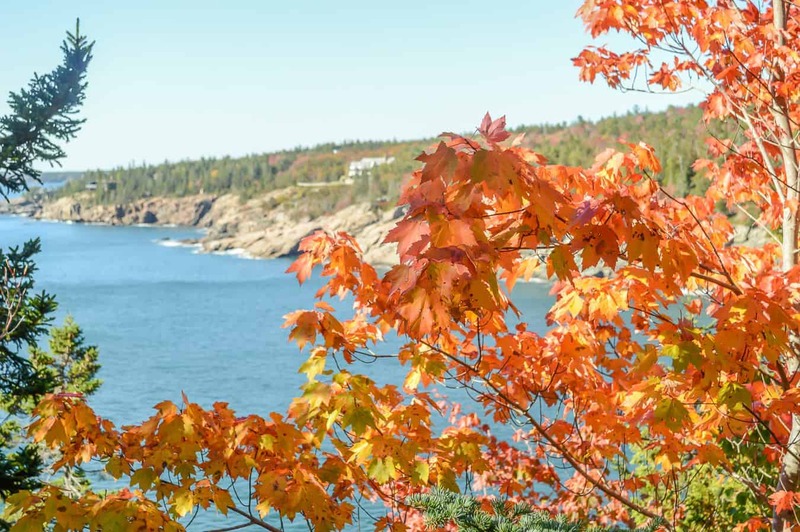 During your 3 days in Bar Harbor, you’ll want to enjoy the local dining scene. There are some fantastic restaurants here. We took the advice of friends (and Yelp) and ended up at some total gems. This has got to be one of the best restaurants in Bar Harbor. Oh wow. 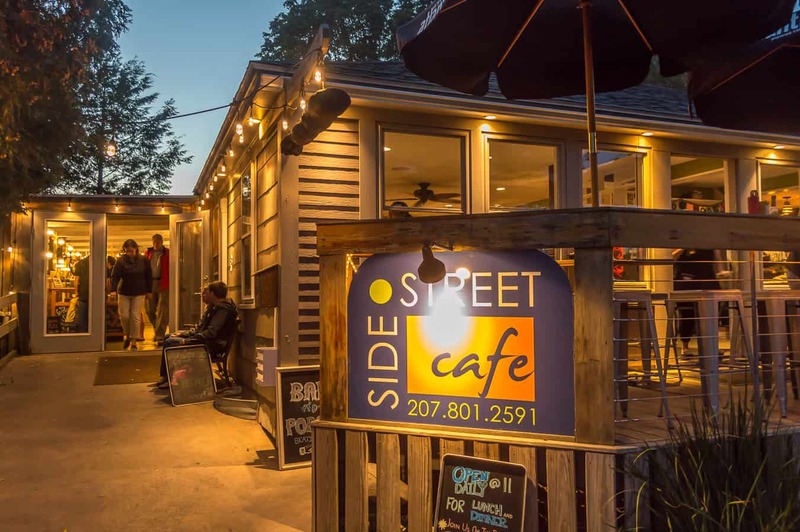 The Side Street Cafe is, predictably, on a side street. Just a few blocks from the main tourist area, this tasty place is tucked away waiting for you. Though you might not stumble upon it, you should make plans to head here ASAP. It’s where many locals like to dine, and with good reason. Awesome food. Awesome prices. Incredible mac ‘n cheese. Great beer. Happy hour. We promise it’s awesome. This tavern is relaxed and pleasant. It has the laid back, unassuming air of a sailor’s tavern, with hearty dishes and good drinks. Try the lobster bisque for sure. This spot also offers affordable prices. More info on The Thirsty Whale. Want a great place to stay in Bar Harbor? 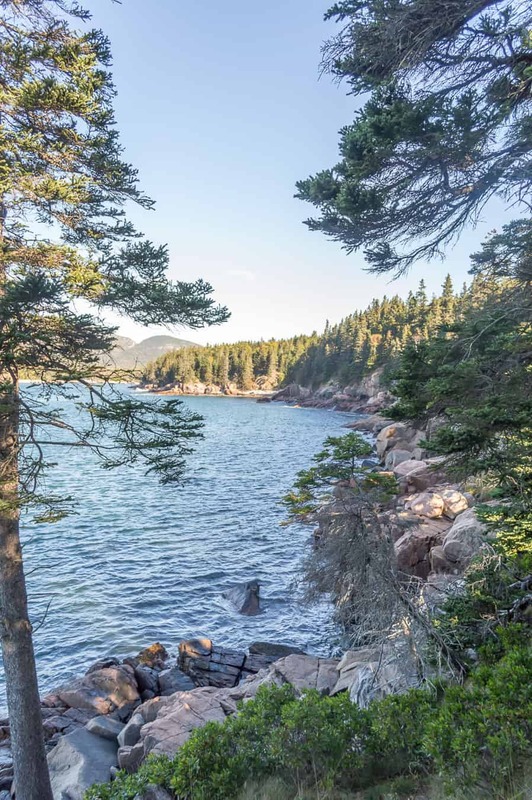 Camping is lovely in Acadia, and there are tons of excellent Bar Harbor campgrounds to choose from. 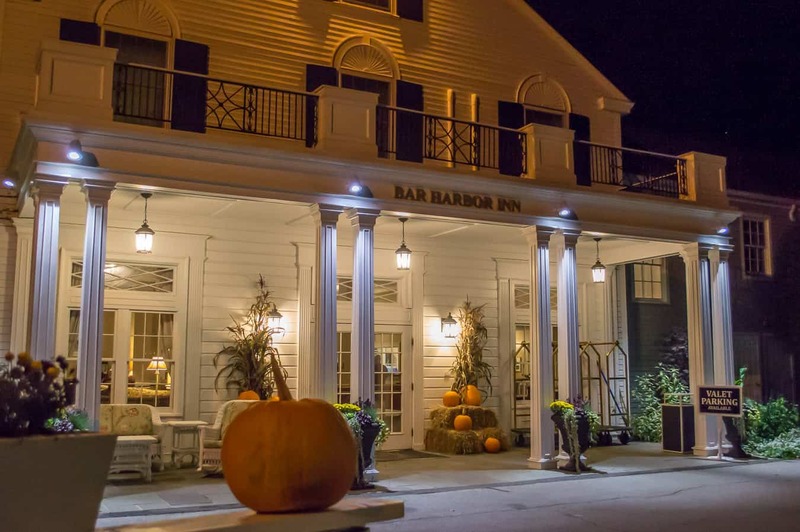 But for hotels, you will love The Bar Harbor Inn. It has a wonderful location just steps from shops, restaurants, and the harbor. You can sit outside on the lawn and enjoy beautiful views out over the water. Two on-site restaurants mean you don’t even have to go far to have a good meal. There’s also a spa, heated outdoor pool and hot tub, free continental breakfast, and many rooms with ocean views. We really enjoyed our stay here. The staff was extremely friendly and helpful and the inn was perfectly cozy. 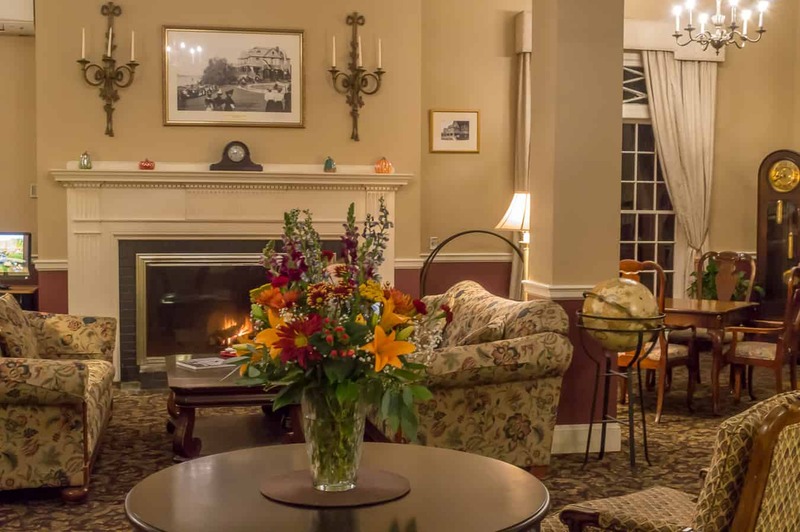 If you stay here, spend some time in the main entrance area, where a roaring fire greets you on cold days and fresh baked cookies are waiting regularly. Good footwear, like sturdy boots. This is especially important in the colder months, or if you want to do some serious walking around in the outdoors. Plus, you’ll look very Maine-stylish with the right footwear. PS: Don’t forget the right socks. A windbreaker or waterproof jacket. Whether you’ll be boating or camping, the temperatures can drop quickly in Maine, even in the summertime. Be prepared with the right garments and you’ll feel great in any weather! Going camping? Grab a tent, sleeping bags, plus other essential camping gear you might need. Our stay in Bar Harbor was in partnership with Visit Maine. Our accommodations and select activities were provided courtesy of Visit Maine & partners. As always, all opinions are our own and reflect our true experience. When it comes to New England, I’ve only made my way up to Cape Cod but Bar Harbor and Acadia National Park is a different kind of gorgeous. Each photo is you’ve taken is like a postcard! I just came back from a week in Bar Harbor and Acadia. Thank you so much for your post — it was so helpful! We ended doing a bunch of the items on your list. Thanks for all of the recommendations! Seeing all of the fall color in your photos brought back the memories of our own trip over Columbus Day weekend. We had so much fun even though it was a quick trip. For anyone that is going – I would recommend you try a lobster roll. They were worth every penny! absolutely! I can’t wait to go back to Acadia sometime soon! My wife and I are planning a trip up to Acadia this summer. This is really helpful! 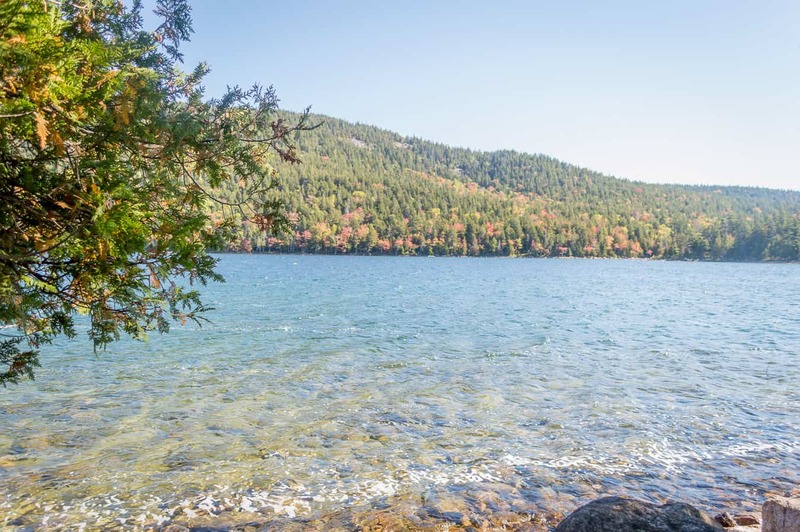 Thanks for sharing about the hike around Jordan Pond.